NEW BRITAIN - Stanley Black & Decker recently announced that it has been recognized as part of the Dow Jones Sustainability World Index (DJSI) by S&P Dow Jones Indices and RobecoSAM. This is the first time that the New Britain headquartered company is named on the World Index and the eighth consecutive year that it is named on the DJSI North America Index. 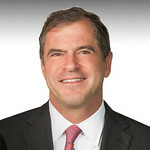 “We are incredibly honored to receive this prestigious recognition for our sustainability efforts across the globe,” Stanley Black & Decker’s president and chief executive officer, Jim Loree, said. “With the rapid pace of technological change and the challenges facing society, governments and individuals today, we clearly recognize that we have a broader responsibility to society. The DJSI determines the sustainability driven businesses based on Environmental, Social and Governance (ESG) factors. The index is formed by RobecoSAM, an investment specialist that evaluates about 3,400 businesses around the world in 60 industries every year through the Corporate Sustainability Assessment (CSA). The CSA is composed of criteria elements such as the corporate governance, climate strategies, human capital development, supply chain management, operational eco-efficiency and labor practices. Earlier this year, Stanley Black & Decker announced its updated Corporate Social Responsibility (CSR) strategy, which concentrates on innovating with purpose, empowering makers and creating a more sustainable world. Stanley Black & Decker has the goal of having greater carbon capture than carbon emissions in its global operations by 2030. The company is also looking to reduce Absolute Scope 1 and 2 Greenhouse Gas (GHG) emissions 100 percent by 2030. In addition, Stanley Black & Decker seeks to decrease Scope 3 GHG emissions 35 percent by the same year. 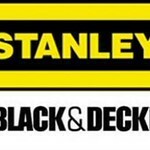 To learn more about Stanley Black & Decker visit www.stanleyblackanddecker.com . Posted in The Bristol Press, General Business, Manufacturing on Monday, 17 September 2018 21:13. Updated: Monday, 17 September 2018 21:16.